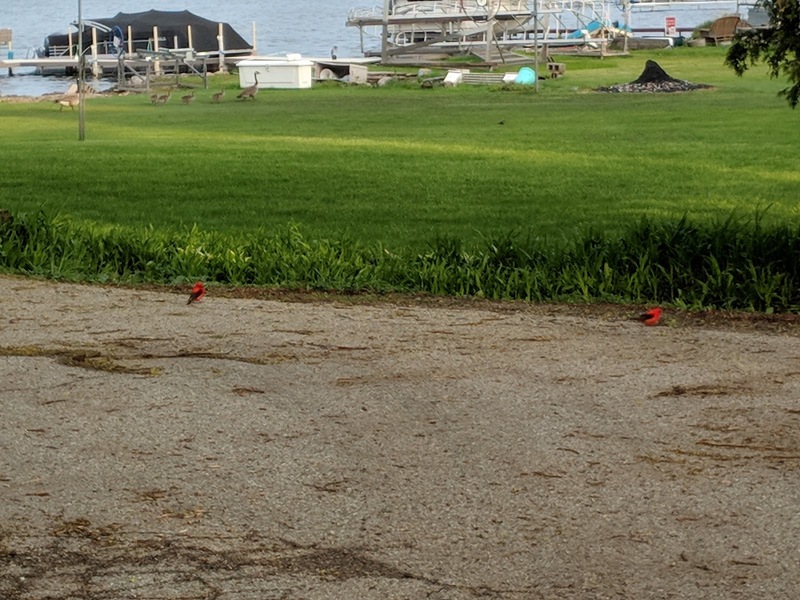 We were up in Twin Lakes recently and as we pulled out of the driveway, we saw these guys. No...not the geese in the background. I'm talking about the bright red birds. They were small, finch-like with black wings. 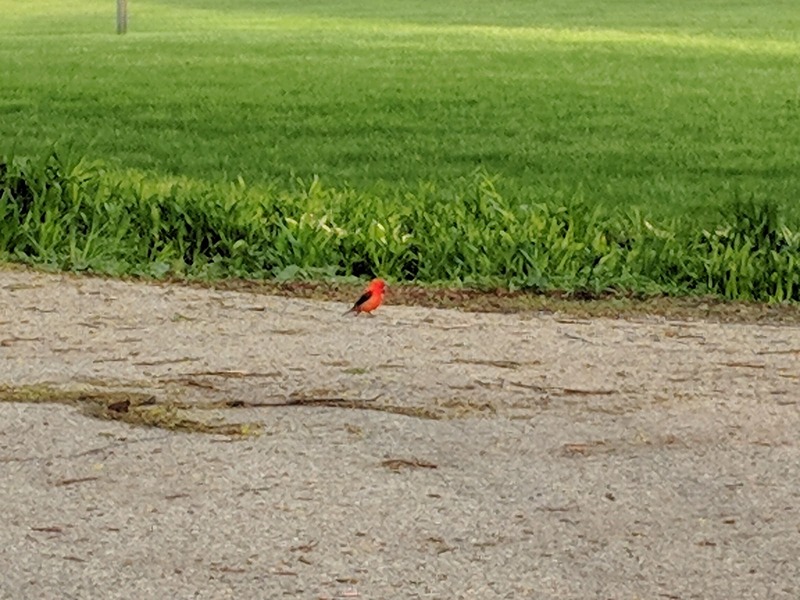 But super vibrant red body and head. 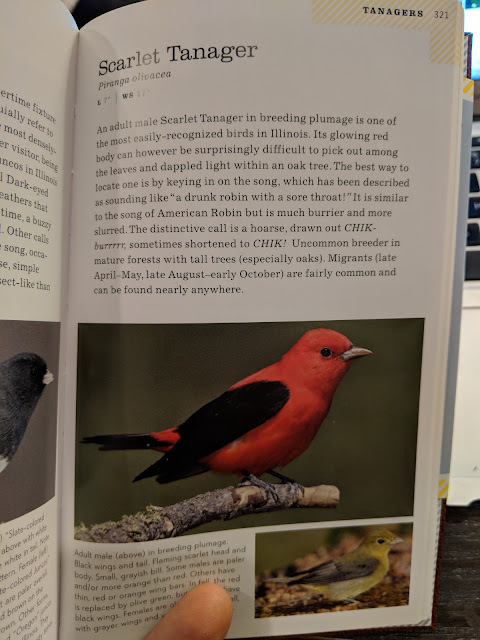 I haven't come across birds like this before, so off to the Field Guide I went. And found this: the Scarlet Tanager.